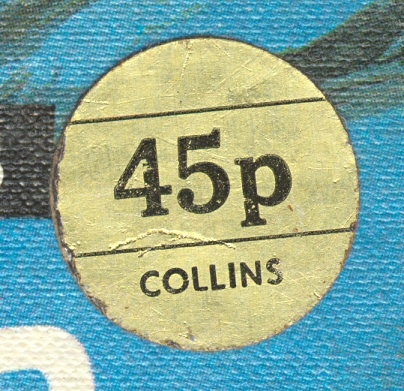 The majority of the first 48 titles published by Collins are known to have been reprinted multiple times throughout the 1970s (some of the earlier books have at least five distinct printings). 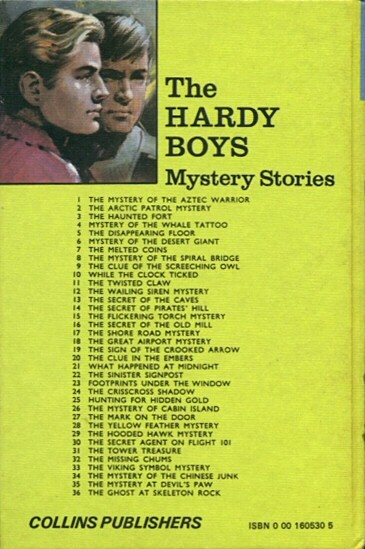 Unfortunately, the copyright pages of the Collins Hardy Boys hardbacks only recorded the date a particular book was first issued – later printings do not contain any details of exactly when they were released. However, due to a number of different properties of the books that were changed or altered over time, it has been possible to differentiate between the majority of the different printings, and in some cases, to pin them down to a specific year. The attributes in question include the spine boxes, page staining, reverse cover lists, and paper types. Some copies even exist which bear their original gold price label (see above). We describe each of these properties in detail, before finally presenting our guide to the printings in tabular form. The accompanying table shows the relationship between the dates the volumes were first published and the number of titles present on their reverse cover lists at that particular time. The 18 volumes that came out in 1972 appear to have been released in three batches of six books released four months apart. 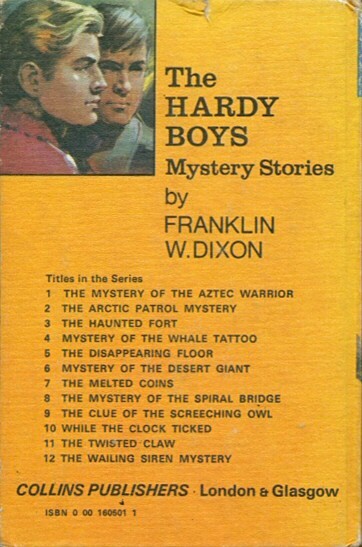 Curiously, the first six titles from 1971 possess volumes 7 to 12 in their reverse cover lists, even though those books were not issued until the following year. Representative examples of the eight different back cover lists. sporting a gold 45p sticker. 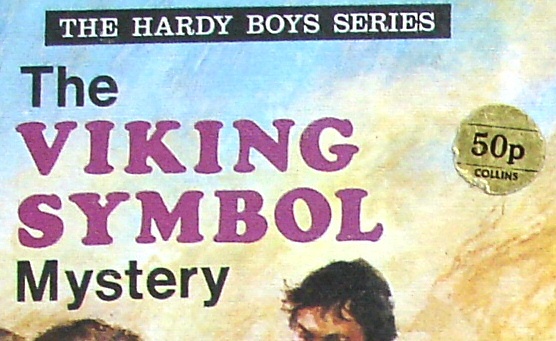 As an aside, the 1981 Collins hardback edition of The Hardy Boys Survival Handbook also originally carried a gold label, with a price of £3.95. 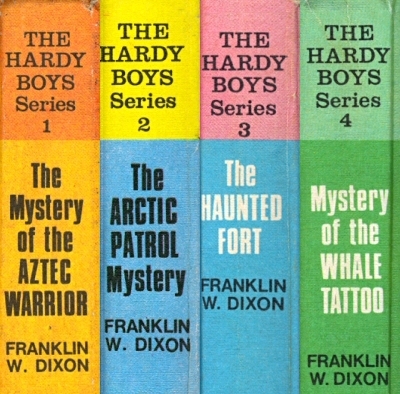 The first edition of each of the first six volumes was printed with a different coloured box at the top of the spine, with THE HARDY BOYS SERIES and volume number in black text. All six were subsequently reprinted over the following years with the standard blue box with white text; editions listing 1-12 and 1-24 on the back are known to exist in this format. The boxes represent the spine box & text colour of a given printing. Those containing question marks (?) indicate printings that may also exist, but have not yet been confirmed. 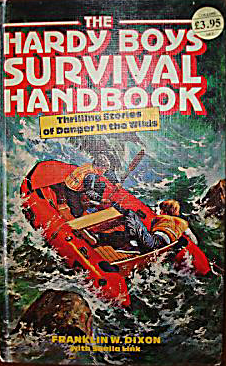 Volumes 31-36 were published in 1974, and list volumes 1-36 on the back. 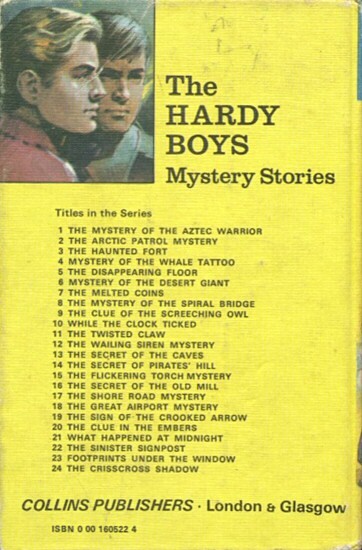 Books 1-30 were also later reprinted listing 1-36 on the back. None of the books listing 1-36 feature page-top staining. 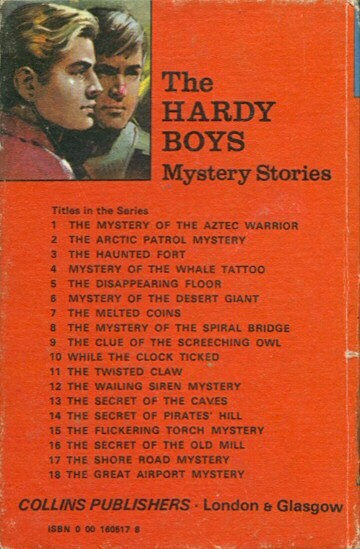 Example of 1977 printing with missing text on reverse cover. 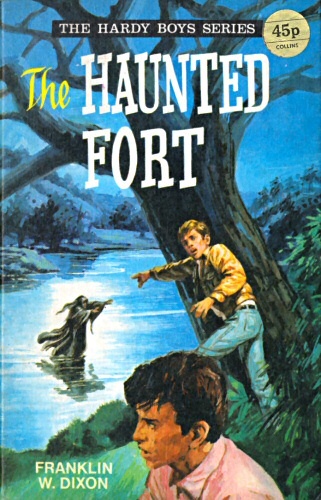 In 1977, a further six titles were published. These were printed on a much coarser paper stock. Volumes 1-12 and 19-36 were reprinted, listed 1-42 on the back, and printed on this coarser paper. (Vols 13-18 do not appear to have been reprinted in this format.) 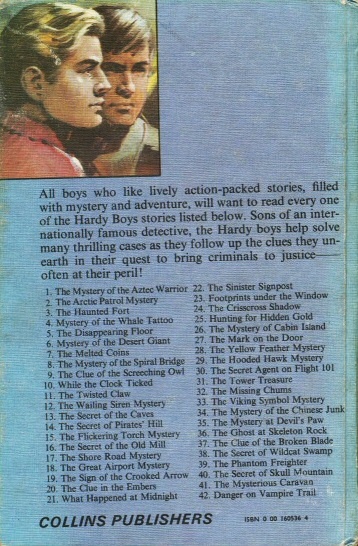 Curiously, vols 31-36 were printed in this edition without the large text THE HARDY BOYS MYSTERY STORIES on the back cover. Six new titles 43-48 were printed in 1979 on a white paper stock. Later that year 12 volumes 31-42 were reprinted on this same white paper stock, but with the cover boards printed on a bumpy �pimpled' textured paper. These books, however, still listed only vols 1-42 on the back rather than 1-48. 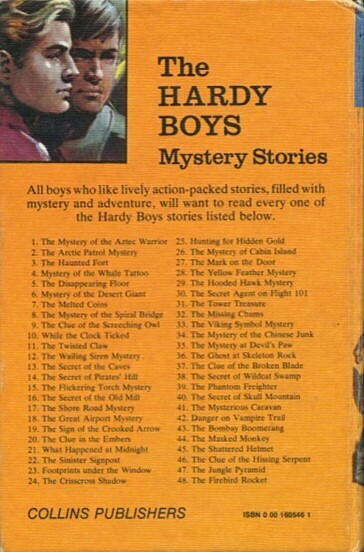 The reprints of volumes 31-36 now included the previously missing THE HARDY BOYS MYSTERY STORIES text on the back. For some reason, an extra 8 �blank' pages (4 at the front, 4 at the back) were added to these reprints. 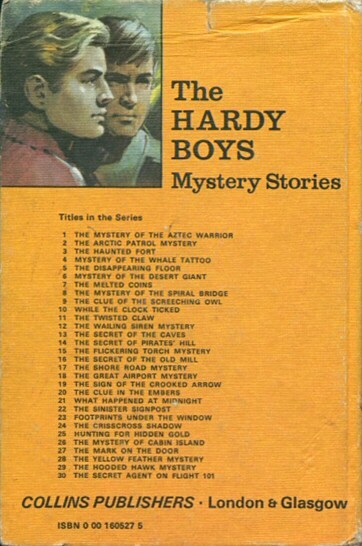 Collins later reissued 12 editions, volumes #37-48 at a time when Angus & Robertson were the publishers of the Hardy Boys hardbacks. It would seem that these 12 reprints were done by Collins to ensure that the first 48 titles had at least two editions in circulation (possibly to satisfy contractual obligations?). The actual year of publication is unknown as the books still retain the original publication dates on the copyright page. However, the existence of bar-codes on the back covers would suggests a date of not earlier than 1982, which was around when bar-codes were first introduced in the publishing industry. While the original editions were printed in England, these books were printed in Italy by Imago/Sagdos. The paper stock used is much thinner making the dimensions of the books slightly smaller. 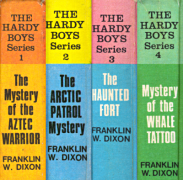 The cover artwork was the same as the original Collins editions, but the spines (minus the small illustration) and back covers were blood red on all volumes. 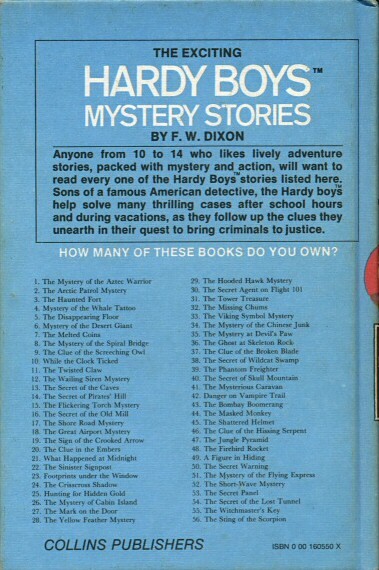 The backs simply listed all 12 titles, saying these books were now "back in print in twelve hardback adventures". These editions sold for £1.50. 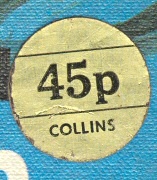 The Collins Printings Guide contains a table listing the known printings of Collins hardbacks reprints for the first 48 volumes. Please contact us if you happen to own a variant that is not listed here. Each column in the table below represents a particular batch of printings that share similar physical attributes and therefore were released more or less simultaneously (in many cases, it has been possible to date these printings to a specific year). The coloured boxes indicate where a specific printing of a particular title is known to exist; the colour of the box and the text inside it represent the Spine Box colour and text colour of that particular printing. Boxes containing question marks (?) indicate printings that may also exist, but have not been confirmed thus far. 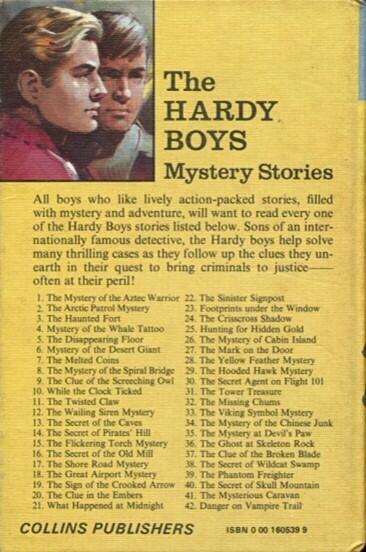 * – The 1977 reprints of #31 - 36 are missing THE HARDY BOYS MYSTERY STORIES header text on the back cover. † – Vols #31 - 42 printed on 'bumple' textured cover paper. The final column covers the Red Spine Reprints. Paper Grades are either S (Standard) or W (White). Internal Paper Grade S. S. S. S. S. S. S. S. W. W. W.
By referencing the table above it appears that in terms of the total number of editions printed, vols 1-6 were printed four, five or six times each (e.g. coloured/black/white spine text variants); while vols 7-12 have four known editions; 13-36 all have three standard editions; while 37-42 also have three editions (the standard first, second with �pimple' texture cover, and the third being the red spine reprint); and lastly vols 43-48 have only two editions (the last being with red spines). And although volumes 49-56 were never reprinted by Collins, these eight titles are still regularly reprinted in the US by Grosset & Dunlap.